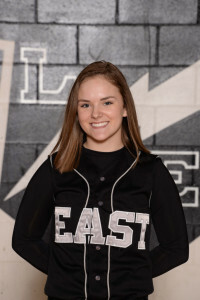 Lakota East senior softball standout Rachel Lewis recently earned another special recognition to cap off her illustrious career for the Thunderhawks. As the GMC and Cincinnati Softball Player of the Year in 2017, she had an incredible senior season and was recently named 1st Team All State. Lewis, who’s signed with Northwestern University, led the conference in RBI’s with 56 and home runs with 11 dingers, while maintaining .604 batting average. Teammate Sidney Larson, a sophomore infielder, received the states Honorable Mention recognition for her outstanding, junior season. Head Coach Steve Castner earned his 500th career win in the 2017 season and was named the GMC’s Coach of the Year. Hats off and congratulations to each of these athletes and coaches for their much deserved recognition in 2017!